For those of us blessed with not having raging headaches, hmm…For the rest of us, headaches are not cute. While an over-the-counter medication might relieve the discomfort temporarily, the natural healing of essential oils can offer long-term relief without unwanted side effects or without submitting the body to chemical agents. If you suffer from headaches, you’re not the only one. Around 15 % of the population of this world experiences regular headaches and migraines. Unlike a migraine, headaches aren’t a neurological condition. It’s a sign of stress, illness, or perhaps a poor lifestyle. Using Essential Oils for headaches relief offers the feeling of being in control as you take part in finding your own solution. You don’t have to wait weeks for an appointment to see the doctor. You can start right away and get the required relief. There are no negative side effects (when used correctly) of Essential Oils and they can be used in conjunction with other medicines. However, it is important to use the proper strength of Essential Oils in the right manner for the correct length of time. With Essential Oils, less is often more. Essential Oils are self-administering. With correct education, they are easy and cost effective to use. Some Essential Oils contain phytohormones (plant hormones) to help our endocrine system. Headaches are often caused due to hormone imbalances. What Are The Best Essential Oils That You Can Use For Headaches? Choose from the following list of Essential Oils and see which one or ones give you the best relief. Based on how the aroma makes you feel, your nose will tell you the most appropriate Essential Oil for you. Lavender Oil is one of the best pain relievers. It is also the best Essential Oil to use for stress and anxiety. Due to its anti-inflammatory, analgesic, and anti-bacterial properties, it also known to be a balancer for the central nervous system. I often refer to Lavender as the Oil of Homeostasis. It assists us through this process by calming the central nervous system, relaxing the tight tissue, and calming our emotional state. The second best Essential Oil for headache is Peppermint, especially when digestive and sinus issues are involved, or if you just love Peppermint. This Essential Oil has excellent analgesic effects. The menthol component helps stimulate the circulation of blood to the brain with its warming and cooling properties. Peppermint brings a cooling menthol effect to a headache caused due to a hot disposition. Peppermint is also notably good for migraine relief. Lemon Oil is stimulating and uplifting. It helps to fortify the nervous system. The clean refreshing aroma is helpful if fatigue and / or depression are involved. Its high antibacterial properties are also helpful if congestion and sinuses are part of the headache issues. Eucalyptus Oil is warming and stimulating. Like Peppermint Oil, Eucalyptus Oil can help improve circulation, and is good for general fatigue. Eucalyptus Oil is also the best respiratory Oil with decongestant and expectorant properties. It helps clear the head and relieve pain. This is a good choice if congestion and sinus pressure is part of the cause for the headache. Geranium Oil has a tonic effect on the system of the body. It can be uplifting, comforting, and nurturing, while at the same time improve circulation and soothe the nerves. It is also known to help balance the hormonal system. If the headaches are hormonal in nature, then using Geranium Oil with Lavender Oil can be the right choice. Another reason to choose Geranium Oil is its rosy aroma that helps adrenal exhaustion, general fatigue and depression. 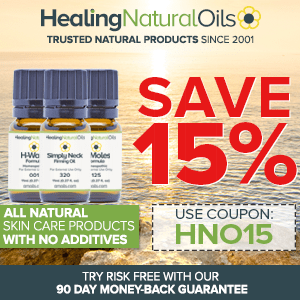 Try my favorite essential oil product Amoils H-Headaches! You can read my review on this product for more details. What Are The Best Ways To Use Essential Oils To Alleviate Headaches? It is empowering to select and create your own ritual / routine for headache relief. You can use any of the previously listed Essential Oils with these ideas to create your own healthy habits. I use misting to clear, wash, and refresh my skin. While promoting an overall sense of well-being, it helps me remove the mental stagnation. While it is easy to do misting just about anywhere, the effects are profound. A Lavender Oil – Peppermint Oil Mist is a good choice for clearing the head and lifting the spirit! Inhalation is the easiest way to use Essential Oils. Simply keep a bottle of pure Essential Oil like Lavender Oil and / or Peppermint Oil with you for quick, strong, powerful shifts. Close your eyes, if appropriate, and take 5-7 deep breaths and pause. Notice how you feel after that. A couple of drops of pure Essential Oil on a cotton ball or hanky can help. Put one drop in your palm, rub together, cup nose and breathe deeply. Pause and rest to receive the full benefits. Be mindful of the effects and the way you feel. Diffusers are available with pure Essential Oils for your bedroom, office, and home. You can also use them in hotel rooms when traveling. The aromatic air can help relieve many causes of headaches … such as tension, stress, fatigue, exhaustion, bad air, allergies and more. Create a special spot as a sanctuary for your quiet time and stress-relieving techniques. 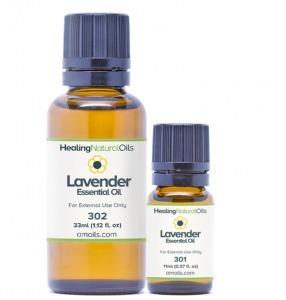 Lavender Oil is a good choice for use in diffusers. Baths are an ancient healing art. With the right combination of Essential Oils, baths are one of the best headache pain-relievers. The analgesic properties of Essential Oils relieve the body of all the pain, aromas soothe the mind and warm water relaxes the tissues. You get all this while also getting a quiet time to stop and rest. Take at least three baths a week as a preventive measure for many of the reasons we get headaches. Use a blend to gently massage your temples, neck, shoulders, chest and belly while you are in the bath. You can also add 2-3 drops of pure Lavender Essential Oil to the water. Do not add Peppermint Oil or Lemon Oil straight to the blend. Undiluted Mints and Citrus Essential Oils can cause your skin to burn / irritate. Close your eyes and relax with a warm wet washcloth over your forehead and face, or a cold compress if you prefer. Enjoy this quiet rest amidst the chaos of life for at least 20 minutes. Self-Massage with a palm blend of 1-2 drops of pure Essential Oil in 8-12 drops of base Oil like Jojoba Oil. Apply this blend to your nose to make the nose – brain connection. Then massage the temples, back of neck along the hairline at the occipital ridge, and rub into the neck and shoulders to relieve tense muscles. Do this with Lavender Oil for a relaxing blend at bedtime. Set aside a time for a professional massage, whether this is weekly or fortnightly, and bring your own Oil blend that works best for you. The effects of massage have proven to last longer when done with Aromatherapy. This can help break the stress-cycle of some headaches. Massage is holistic, working mainly the nervous system as a whole and including, as part of the same treatment, the head and body. However, in some cases massage can aggravate a headache. At these times, choose the compress, simple inhalations, soothing baths or comforting mists. Place cold compress with Lavender Oil on the forehead and back of neck to relieve headache pain with the vasoconstriction that cold water creates. Dip a washcloth in a cup of cold water and add 3-4 drops of Lavender Oil to the water. Dip the compress cloth into the water. Keep one in a baggie in the refrigerator. Add 1-2 of drops of Lavender Oil each time you use it. Be very careful to not get the Lavender Essential Oil in the eyes. Essential Oils are not water-soluble. Please Note: If you get any Essential Oil in your eyes, it will sting. It is best to wash it out with milk or cream. Do not rinse the eyes with water. Essential Oils are lipid (fat) soluble. Use a warm compress or a steam tent for headaches caused due to sinus or congestion. Peppermint Oil and Eucalyptus Oil in addition to Lavender Oil are good choices for warm compress. Add only 2-3 total drops of Essential Oil at a time to the hot water. Close your eyes as you lean over the water. The vapors are very strong. Wrap a big towel around the bowl and you head, shoulder and hands. Apply pressure to the pressure points of the sinus area and the back of the neck at the base of the cranium. One drop of pure Lavender Oil in your palm with a couple of drops of a base Oil like Jojoba can be applied to the temples and back of neck at hairline (up under the occipital ridge) to relieve headache. Massaging the trapezius muscles helps release the tension that is often created by headaches. Belly rubs can melt down and relieve headaches. After 10 to 15 minutes of a soothing belly rub, I have actually felt the pain of a headache melt away. Make a blend with 15-20 drops of Organic Golden Jojoba Oil. Then add 1 drop each of pure Lavender and Peppermint Essential Oils. Apply the blend to your nose, temples, back of neck and shoulders with a slow and gentle touch. Rub the whole abdominal area with a slow clockwise circular motion. Optimum time for the belly rub to be effective is 20 minutes. There is no need to wait for an appointment from a doctor and pay him for the treatment that is often not much effective in treating many of the headaches. Essential Oils can be used in variety of ways. You choose the way you want your condition to be addressed. Some Essential Oils are known to cause irritation when used in undiluted forms. Pregnant women and those that are nursing should not start using Essential Oils without consulting a doctor. If you are pregnant and want to use essential oils to alleviate your headaches, you will definitely enjoy my article Essential oils for Headache Relief In Pregnancy. 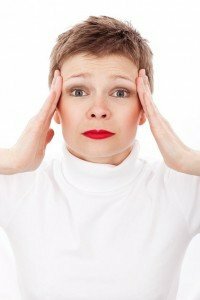 The best essential oils and recipes for Tension and Migraine Headaches can be found via the link. Each of us has different tolerance levels for smells. Our olfactory nerves are unique to each of us. Respect this fact to avoid the uncomfortable effects of using Essential Oils in strong dosages. Headaches happen to be one of the situations in which Essential Oils prove to be most helpful, because of their strong analgesic and anti-inflammatory properties. Using Essential Oils in a daily routine can help shift the headache pattern over time. Keep them with you also for immediate use when the headache starts to kick in. I totally agree that lavender oil and peppermint can help cure headaches. This is something I learned from my grandmother long ago. She used to spray peppermint mist on my pillow, and always said we should a lavender sachet in the pillow case. Now whenever I get a headache I track down the essential oil, . . .and think of my grandmother. I’ll have to try some of these other remedies too. You have a lot of info here. Wow, so many ways to use these oils, I always thought this is more of an oldwives tale but now I’m very eager to try these out! Whenever I have one of my headaches I reach for Ibuprofen but I’ve been reading so much bad stuff about it lately that I want to use something else. I use fragrance oils around my house but that’s it. What oil should I start with?